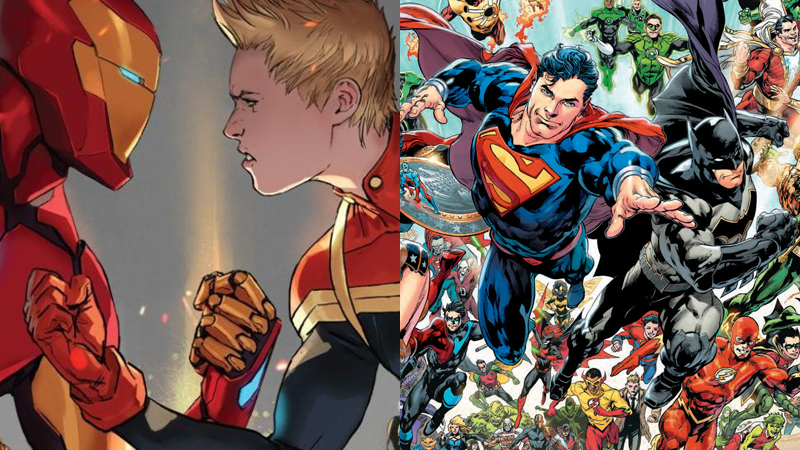 Chat With io9's Comics Staff About Civil War II, DC's Rebirth, and More! It’s a crazy time for comics—summer events are kicking off all over the show, and there are new series starting practically every week at publishers big and small. Confused about something going on in comics right now? Ask us what our favorite series is? If you’ve got a comic question, we’re here to answer it. Myself—man who ostensibly knows things about comic books—and Evan Narcisse—man who actually knows things about comic books—will be ready and waiting to answer your questions over the next hour about comics, the big changes Marvel and DC are bringing with Civil War II and Rebirth to their lines, and all sorts of nonsense. Submit your questions in the comments below! UPDATE: The Q&A is now over! We’ll occasionally open this back up to answer some of the unanswered questions we currently have, but won’t be fielding any further ones. Thanks for participating!